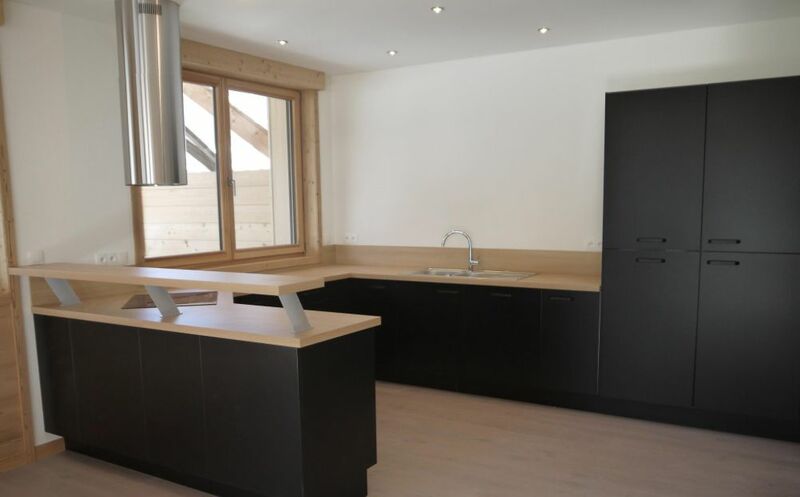 A modern 3 bedroomed apartment just 10 mins walk from the centre of Chatel and is on a major bus route taking you to the centre of chatel or to either the Linga ski lifts or Pre La Joux ski lifts. 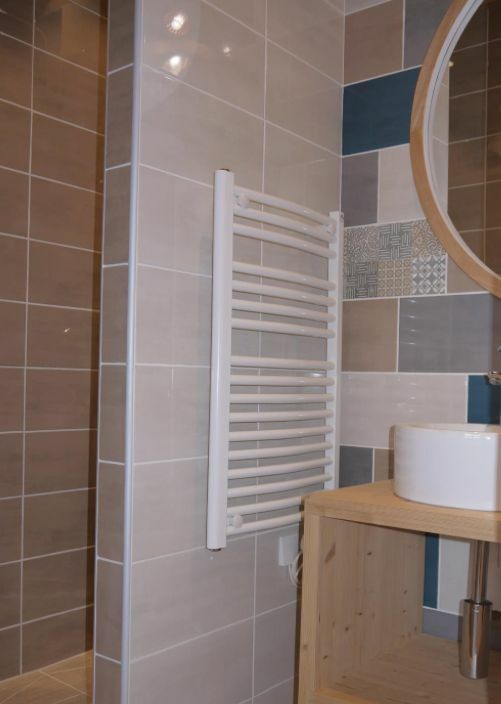 This light sunny apartment has superb views up and down the valley, it has been recently renovated with good quality materials, includes equipped kitchen, 3 bedrooms, 2 bath/shower rooms, separate WC and a garage. 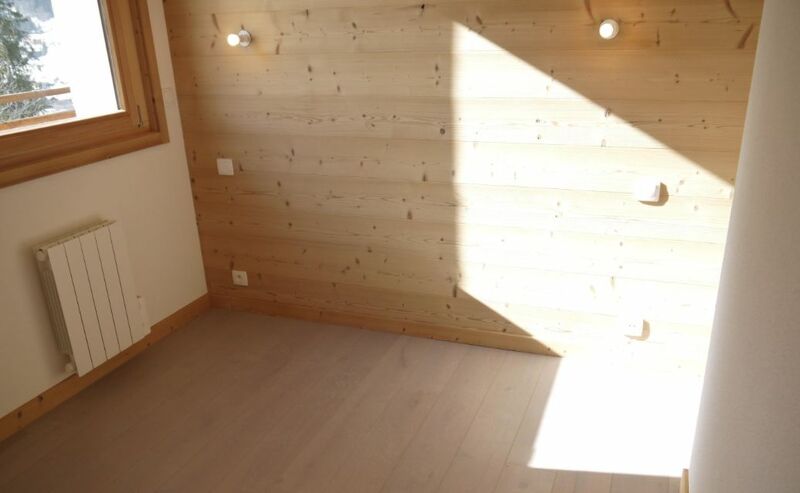 The apartment has a sunny situation with views up and down the valley, in a good location that is only a 10 minute walk from the centre of Chatel, the navette stop is infront of the residence which is also on a major bus route. 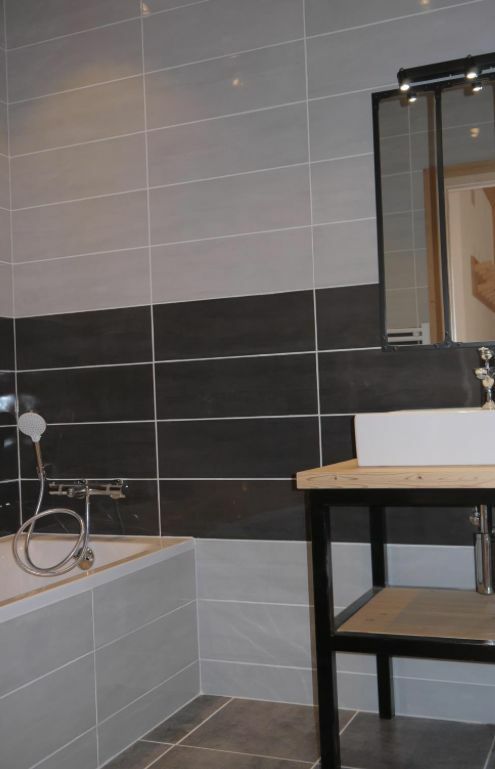 A spaceous and bright apartment with an open plan kitchen/living/dining area, 3 bedrooms (one with ensuite shower room), bathroom, and separate WC. Offered with garage. Agency fees payable by the vendor. Partner Agent Mandate – Delegation. This property is part of a building that has 21 lots. 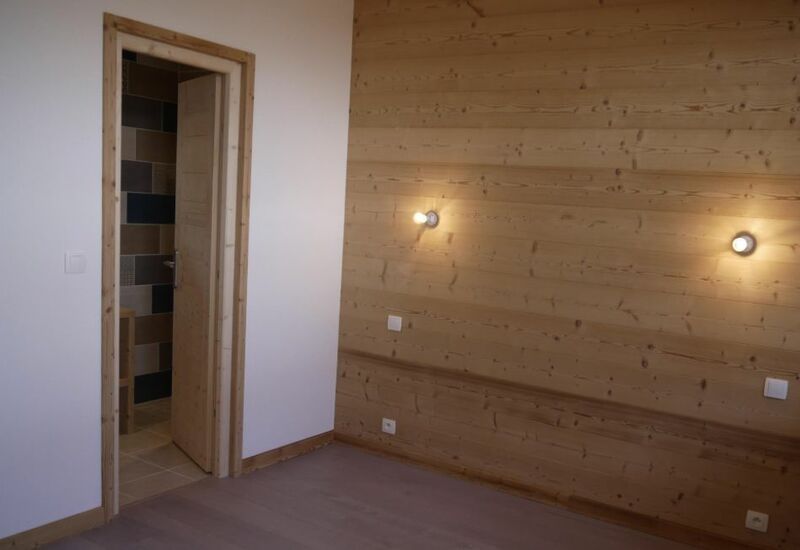 Co-ownership charges for this property: 1200€ pa. Energy rating (DPE) : G.
Chatel is an original farming village nestled in the French Alps. Steeped in history, Chatel takes as much pride in its history (dating back to Roman times) as it does in its future. This website shows just a selection of properties for sale. Please contact us for details of others that might suit you. "We just wanted to say a huge thank you for all your help over the last few months, making what seemed like an exciting but daunting process actually incredibly stress free! We absolutely love our new home and know it's just the start for many wonderful family memories. 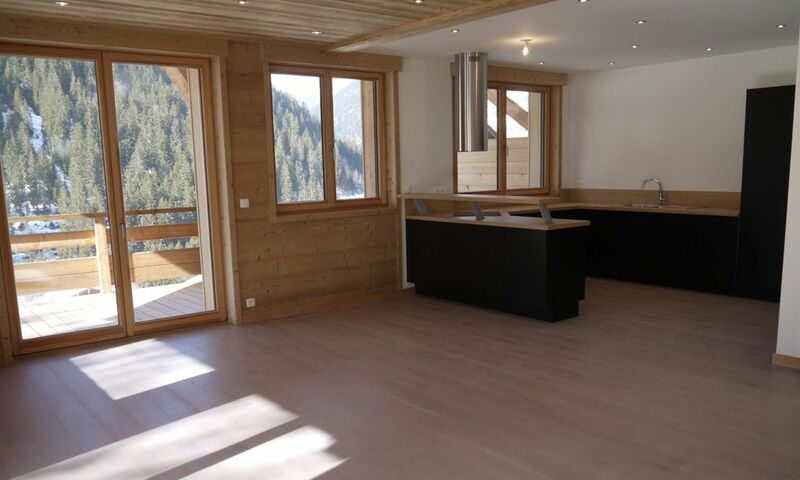 Thanks also for the champagne, what a lovely surprise to come home to,..."
"John and I would like to pass on our thanks to you both for your fantastic support and advice over the purchase of Chalet Les Mures, we couldn’t be more delighted by the way it was all handled and explained. You both made, what we know can be a very trying and difficult process, a manageable one so thank you. If you ever need any..."
"On behalf of both of us Happy New Year to both of you and thanks for being great agents for us and making this as seamless a process as possible. You really did take the potential stress out of it and have been an enormous help! Much appreciated." Chatel is an original farming village nestled in the French Alps. Steeped in history, Chatel takes as much pride in its history (dating back to Roman times) as it does in its future. With picture postcard chalets tucked away amongst incredible mountains, Châtel offers a truly authentic alpine experience but with a modern infrastructure and easy accessibility. 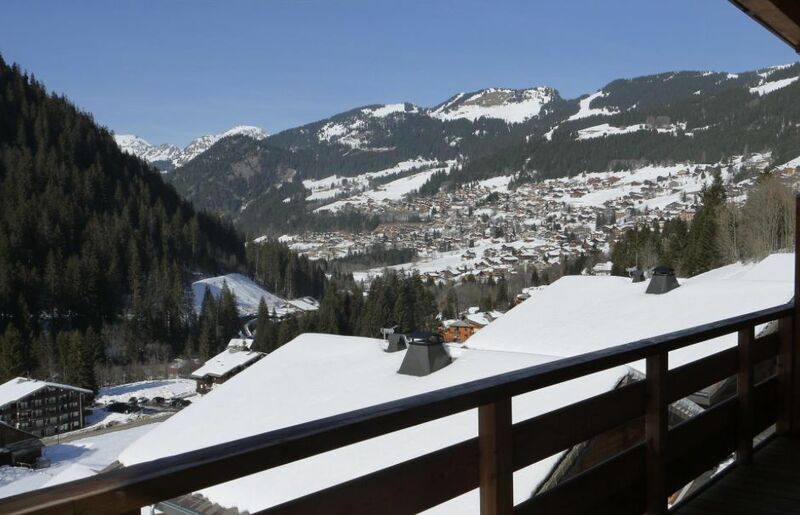 Chatel is located at the top end of the Abondance valley in the heart of the Portes du Soleil. Situated between Lake Geneva and Mont Blanc, Chatel is just 20 minutes from the Swiss motorways, 30 minutes from Aigle train station, 1. 25 hours from Geneva International airport and 45 minutes from Thonon train station. Chatel is one of 14 resorts of the "Portes du Soleil" which includes Morgins, Les Gets, Morzine and Avoriaz, making up one of the largest skiing areas in the world. Chatel has a history dating back to roman times and was established by a colony of monks in the 5th century. Its first parish was built in 1643 when it was primarily a farming community. At the end of World War II the first ski lifts were introduced and Châtel’s transformation to ski resort began. Chatel has maintained its agricultural character and there are still hundreds of cows and 100 year old working farms producing the famous Abondance cheese. 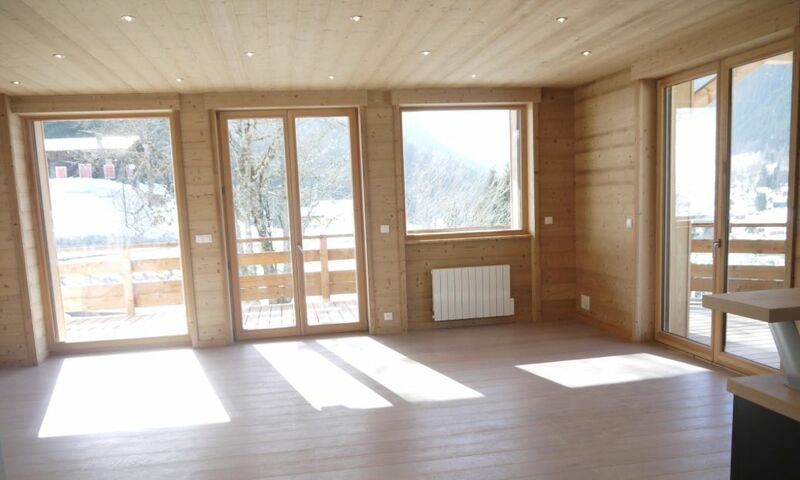 As with all the villages in the Abondance Valley, properties in Chatel are particularly beautiful. The resort has been careful to retain the traditional style and large high-rise structures have been avoided. Chalets showcase the skill of local tradesmen, from the pretty balconies with their decorative balusters to the century old chalets and farmhouses that were built to cope with the changing seasons and the terrain. Properties for sale sit naturally in the beauty of the valley offering views, history and a very modern level of accessibility and amenities. 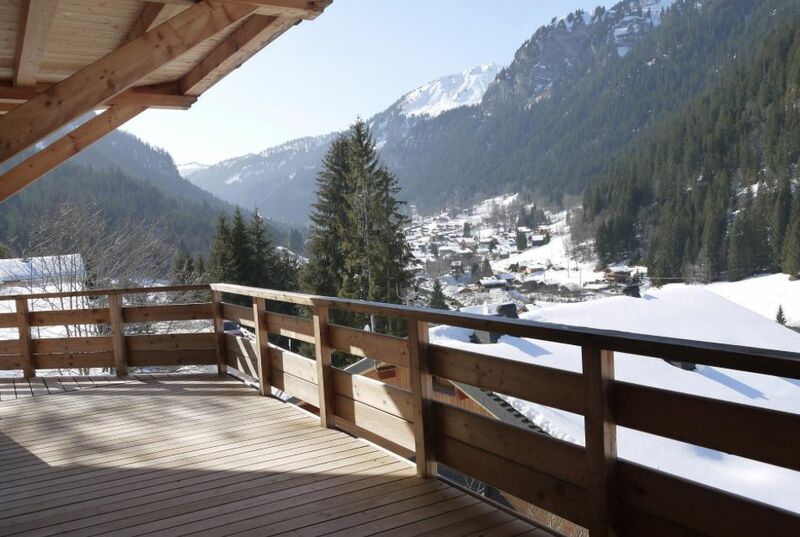 Chatel and its neighbouring villages in the Abondance Valley bring much to the table when considering a property purchase. Chatel gives you a lot of options where skiing is concerned. Chatel village itself has its own ski slopes varying between two mountain ranges - Super-Chatel / Barbossine and Linga / Pre La Joux. There are 46 ski slopes - 6 black, 14 red, 17 blue and 19 green with a total length of 83 km. The inclusive Chatel ski pass is also valid throughout the Swiss resort of Torgon, in the Corbeau sector of the Swiss resort of Morgins and the La Braitaz sector at La Chapelle d’Abondance (including the Panthiaz gondola lift). So you can use 56 ski lifts and 69 pistes totalling some 130 km (80 miles). There is a special bus service between Chevenoz and Chatel called colombus which stops in every village of the abondance valley. There are free shuttle buses running through the village should you decide you don't want to walk to the slopes. And Châtel is also connected to the gigantic Portes du Soleil which, with 650 kilometers of pistes, is considered one of the largest ski areas in the world. Chatel also claims one of the best snow records in the whole of Europe due to its unique microclimate close to Lake Geneva! Chatel offers year round activities, from the snow sports of winter to the strong summer season. In recent years it has become a destination for mountain biking and many of the 650km ski trails have adjoining mountain bike courses. There is also an abundance of walks, hikes, lake swims, paragliding, the fantasticable (a zip-line extending between two mountain peaks) as well as cultural and music events in the town. And a new aquatic centre recently opened, the Forme d’o with an indoor/outdoor pool, a spa and a fitness area. Chatel has everything you could need. From doctors, physiotherapists and dentists, to supermarket, specialists food stores, and ski shops. There are well qualified tradespeople, a pharmacy, butchers, bakers, bread shops, arts and crafts, hairdressers, bowling, two cinemas and outdoor and covered car parks. With a lively village centre, perfectly preserved mountain architecture, skiing in the vast unspoiled spaces of the Portes du Soleil, Chatel offers modern facilities in a traditional setting with a working village proud of its heritage. Information provided is for guidance only. 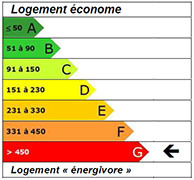 France Property Sales SARL does not take responsibility for the accuracy of the information provided on this page. Click "contact an adviser" to receive financial advice. © Copyright Campion (UK) Ltd 2017.